What Makes the Kaaswinkel Schockaert so Amazing? As I was headed to a meeting in Mechelen (Belgium), I was drawn by the view inside the cheese shop Kaaswinkel Schockaert. Even in the rain with an umbrella over my head and my eyes directed towards the ground, a long counter displaying more than 100 cheeses caught my attention. I had to go inside and take a peak. I was amazed to see such a wonderful selection of quality unique cheeses from Belgium and all over Europe. Many I had never seen before. Unfortunately, I did not have enough time on my way to the meeting to truly appreciate the variety of cheeses available. The kind salespeople at the counter, however, introduced me to a special cheese called De Mechelier. It’s produced by local farmers according to a recipe created by the Schockaert family and using the local beer Gouden Carolus, which is made by the local Het Anker Brewery. You can purchase this medium-firm cheese only at the Kaaswinkel Schockaert. A block of De Mechelier cheese weighing about 175 g / 6 oz costs about EUR 4.85 (EUR 28.00/kilo). The De Mechelier resembles cheeses made at monasteries or breweries, such as Trappist cheeses, which are usually washed in beer and then left to sit until ready to eat. Het Anker Brewery also produces a lovely cheese with a subtle hint of the Gouden Carolus Tripel beer inside, aptly called the Brouwerskaas Gouden Carolus Tripel. This cheese, launched in 2013 by Het Anker Brewery, is available for sale only at the Kaaswinkel Schockaert and at Het Anker Brewery. I bought a wedge of Brouwerskaas Gouden Carolus Tripel cheese to enjoy at home. My kids and I tried it last night and loved it. I will definitely buy more at the 100th anniversary celebration on 6 September 2015. Although the Kaaswinkel Schockaert specializes in unique cheeses from around the world, in the back of the shop they present some quality cured meats and other prepared item for sale. In the photo below you will see this meat section along with one of the owners, Ann Schockaert, as she unloads new goods from a truck outside. However brief was my visit to the Kaaswinkel Schockaert, I’m thrilled that I entered this fabulous shop. How refreshing to find a store where the owners take such a keen interest and pride in providing quality specialty items produced by mostly small-size artisans! It should be no surprise then that the Kaaswinkel Schockaert belongs to the Slow Food movement, promoting good, clean and fair food and aiming to prevent the disappearance of local food cultures and traditions. What a better way to combat people’s dwindling interest in the food they eat than to make available such an extraordinary range of local cheeses? What will the cheese market on 6 September 2015 be celebrating? This extraordinary cheese store Kaaswinkel Schockaert has been in the same family for four generations. It is currently owned by Harry Schockaert and his two daughters, Sophie and Ann. To celebrate its 100th anniversary at Yzerenleen 28, 2800 Mechelen, the Kaaswinkel Schockaert will host a cheese market on Sunday 6 September 2015 from 10:00 to 18:00. Numerous local cheesemakers from the surrounding area will bring their cheeses for the public to sample and to purchase if they like. 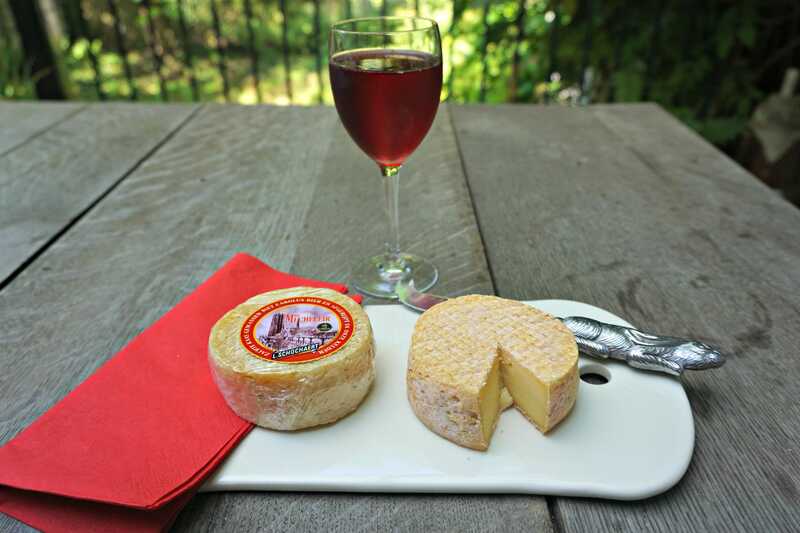 Cheese sandwiches, wine, beer from Het Anker Brewery, and two variations of the Schockaert burgers will also be available for sale during the cheese market. Both variations of the Schockaert burger, of course, feature cheese. One burger has the Brouwerskaas Gouden Carolus Tripel, while the other has the Achelse Blauwe, a prize-winning blue cheese made by the Catharinadal cheesemaker in the northern part of the Belgian Limburg province. Let the selection of cheeses on display at the cheese market surprise you. The cheese market will take place a few feet from Mechelen’s main square, the Grote Markt. On Sundays from late June to late September a flea market (Curiosamarkt) takes place on the other side of the Grote Markt on Veemarkt from 11:00 to 17:00. Come with your friends and family to enjoy the cheese market celebrating the 100th anniversary of the Kaaswinkel Schockaert. Afterwards you can stroll around the center of old Mechelen to visit the main sites and the flea market. Apparently, Mechelen has more listed buildings per square meter than even Bruges! Don’t miss out! To whet your appetite for a day trip to Mechelen, read my blog post from 6 July 2015 and enjoy the photos by following this link. Mechelen on its own is always worth a day trip. Yet, the 100th anniversary celebration definitely makes a trip there worthwhile. Please share this information with your friends. Hope to see you there!